Turner Eye Institute is the best in the Bay Area to invest in your vision with a revolutionary approach to Dry Eye treatment. Patients with moderate to severe dry eye are experiencing great discomfort and are seeking new approaches from traditional therapies, which only provide limited symptomatic relief. Eye care physicians are equally frustrated with the limited tools available to properly diagnose and treat dry eye. Turner Eye Institute in the Bay Area offers a new technology to better diagnosis and treat the root cause of evaporative dry eye. Contact us today to learn more. Evaporative Dry Eye is a chronic condition that can worsen over time. 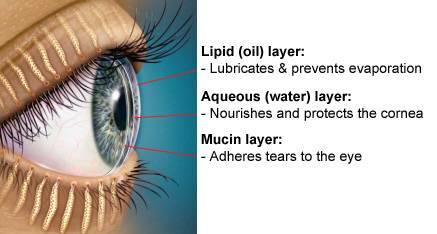 It occurs when the water in your tears evaporates faster than normal, due to an insufficient lipid (oil) layer on the tear film of your eye. 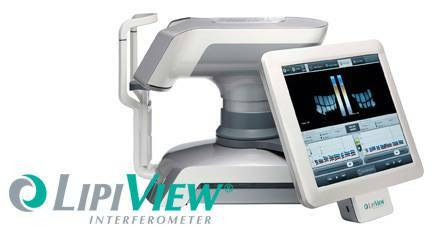 Contact us today to see if today’s technology can help you with your discomfort. Are you suffering? Do your eyes feel dry… Irritated… Gritty… You may experience blurred vision or sensitivity to sunlight. Problems worsen while reading, driving or extended computer use. After a while, it limits these activities. Contact us today for your comprehensive dry eye visit. The LipiFlow Thermal Pulsation System is a revolutionary way to treat Evaporative Dry Eye caused by Meibomian Gland Dysfunction (MGD). Opening and clearing blocked glands allows the body to resume the natural production of lipids (oils) needed for the tear film. The result may eliminate the uncomfortable symptoms associated with Evaporative Dry Eye. Evaporative Dry Eye which accounts for 86%1 of all dry eye cases is caused by blockages in the Meibomian glands located in your eyelids. 1-Lemp MA, et al. Distribution of aqueous deficient and evaporative dry eye in a clinical-based patient population. Cornea. In press. If you’re ready to get started, call us to schedule an assessment appointment. Reduce your dependence on drops or maybe even eliminate them. Goodbye, daily therapies. Hello LipiFlow®. Soft or rigid contact lens wear. Patients should remove contact lenses at least 4 hours prior to device use. o Use of oil-based facial cosmetics around the eye. Eye rubbing. o Recent swimming in a chlorinated pool. Patients should not swim for at least 12 hours prior to LipiView® use. Any ocular surface condition that affects the stability of the tear film. These conditions include disease, dystrophy, trauma, scarring, surgery, or abnormality. Following these evaluations, we will then determine whether or not you have Evaporative Dry Eye or Meibomian Gland Dysfunction and if you are a candidate for LipiFlow®. LipiFlow®, the groundbreaking treatment, addresses the cause of Evaporative Dry Eye If you’ve been unable to receive long-lasting relief from the over-the-counter or prescription remedies you’ve tried, it may be because they haven’t been targeting the primary cause of your condition – the blockage of your Meibomian glands located in your eyelids. Perhaps you’ve tried things like eye drops and warm compresses, which many find inconvenient and only offer short-term relief. The LipiFlow® Thermal Pulsation System, by TearScience®, is a significant technological shift managing evaporative dry eye. With a single procedure, applying a combination of directed heat and pulsation pressure, many find a single treatment effective in relieving the blockage of their Meibomian glands. The LipiFlow® System is intended for the application of localized heat and pressure therapy in adult patients with evaporative dry eye. Opening the blocked glands may allow your body to resume its natural production of tear film oil. No other Dry Eye THERAPIES do what the Thermal Pulsation System can! 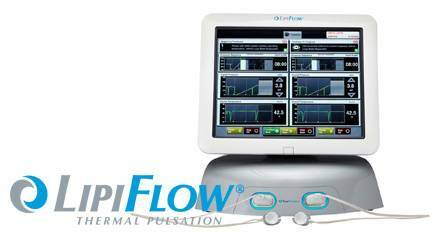 LipiFlow® treatment is clinically proven with sustained results. In a clinical study about 79% of patients reported an improvement in overall dry eye symptoms after a single LipiFlow® treatment. Depending on the severity of your specific condition and your response to treatment, you may need to repeat the LipiFlow® treatment periodically as your symptoms return over time. With LipiFlow® – and regular checks and ongoing care to monitor your progress – let us help you experience Dry Eye relief like never before. Goodbye Evaporative Dry Eye. Get started today! If you’re ready to kick Evaporative Dry Eye, all it takes is a phone call to get started. Make an evaluation appointment to in our Dry Eye Clinic and determine if you’re a candidate for LipiFlow®. The LipiFlow® Activator (a disposable eyepiece) is inserted under your lower and upper eye lid and is shaped to prevent contact with your cornea. Once in place, you simply recline in the treatment chair and experience the 12 minute procedure. In a clinical study, 32% of patients reported no discomfort and 48% of patients noted awareness of pressure without pain during the LipiFlow treatment. The average total Meibomian gland score for patients who received a single LipiFlow treatment more than doubled from 6.3 + 3.5 glands at the baseline to 16.7 + 8.7 glands at 4 weeks. As previously mentioned, 79% of patients treated with LipiFlow in the clinical study reported an improvement in overall dry eye symptoms. The first and only treatment that addresses the cause of Evaporative Dry Eye at the source, allowing your eyelid glands to produce the oils required for a healthy tear film. Other treatments – warm com- presses and drops – just give you temporary symptomatic relief.